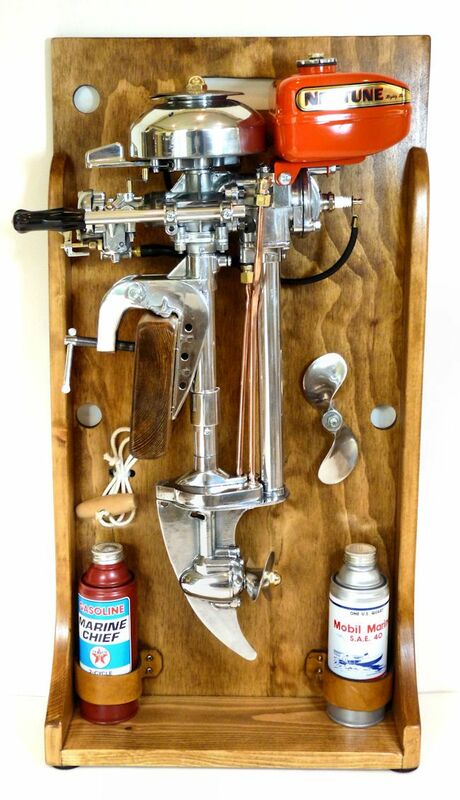 To view our current inventory of vintage outboard motors is mint display condition, click here! 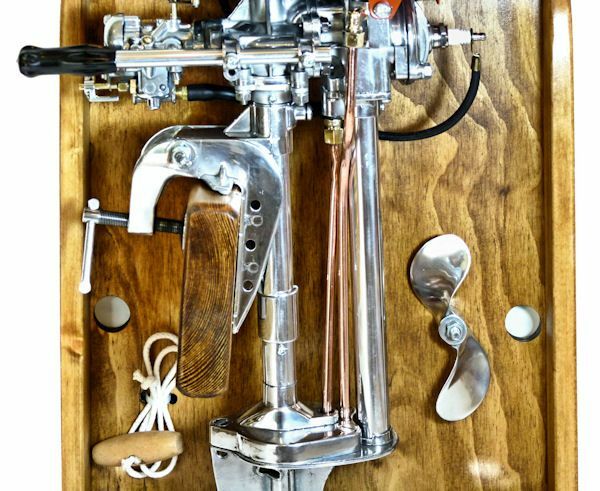 Presented is an actual 1948 outboard motor that was resurrected from a yard sale, garage or attic, and reconditioned into a stunning and unusual display on a custom made backboard which is included. All its external parts have been repainted, re-chromed and polished, and then mounted on a backboard with a starter cord, spare prop and two cans of outboard oil adding that extra special touch. The backboard is what was used to carry the motor and supplies while hiking to a favorite lakeside camping ground. The display is designed to be used standing on the floor or when mounted on a wall providing versatility. It has taken literally hundreds of man hours to achieve these outstanding results. 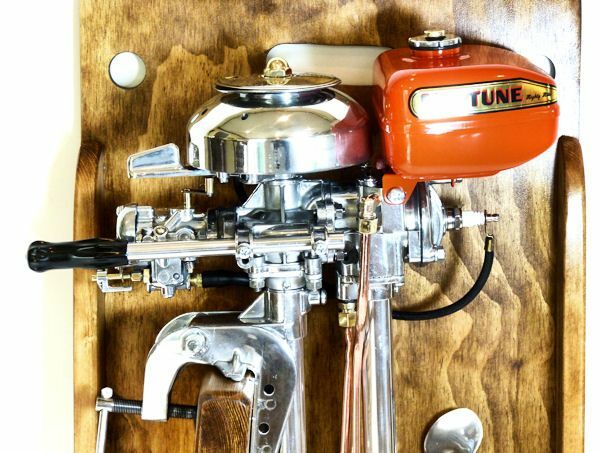 All Neptune outboards were built by the Muncie Gear Works of Muncie, Indiana from the mid-1930's until 1995. 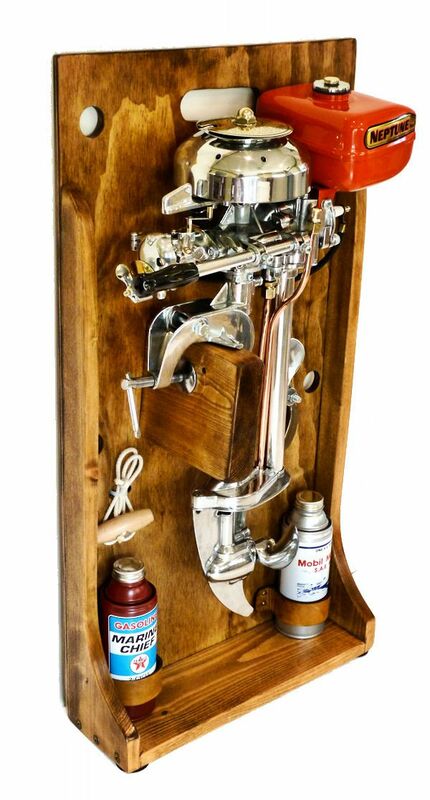 In 1938 they produced the first outboard that would in later years become the famous Neptune Mighty Mite. In 1957, the Neptune AA1 and AA 1A series outboard motors, were named the Mighty Mite, and their tanks were painted maroon which is not the color used in this display so they could be identified as restored. 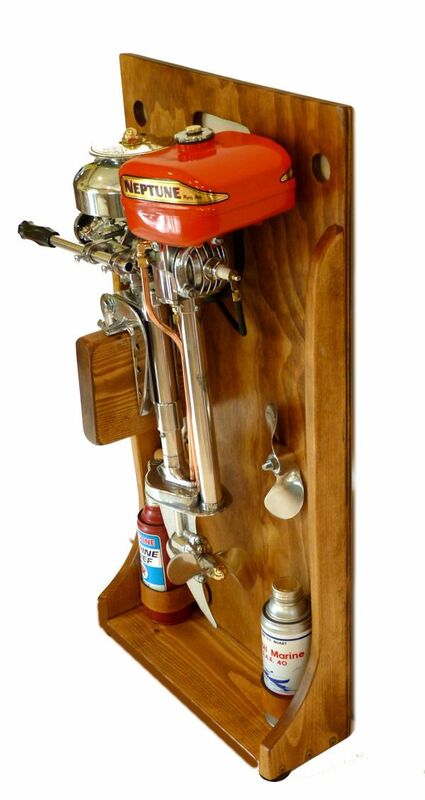 It became one of America's most famous outboard marques. Over the years these fine little engines became a historic American icon. They were based on a very simple inexpensive design that was small and light weight. This 1.70 HP model dates from 1948, weighs only 17 pounds. The entire display weighs 21 1/2 pounds. 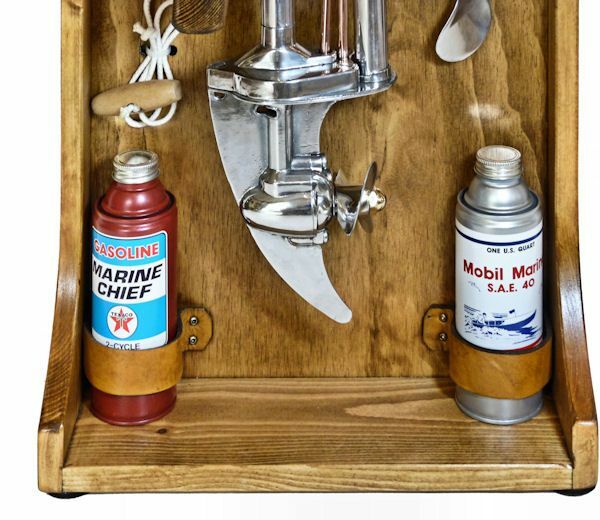 The starter cord, spare prop, and two empty cans of outboard oil are included.